Rivian have presented a very convincing launch. A large SUV and pick up truck at the Los Angeles Auto Show. Most impressive. Rivian took the Los Angeles Auto Show by storm for the reveal of its fully electric truck R1T and SUV R1S. Both are based on the same skateboard-style electric chassis, which will be available with three different battery sizes for a maximum range of 400+ miles per charge in the largest configuration. The Rivian R1S is the sport utility vehicle of the family — though, Rivian likes to call them both Electric Adventure Vehicles. The Rivian R1T was built with the skateboard design that puts the battery at the bottom of the rolling chassis and allows it to adjust the body on top as needed. This affords Rivian the flexibility to change the battery size and resulting range to suit the needs of the customer. The new automaker is branding the R1T as the world’s first Electric Adventure Vehicle and it has built its skateboard to deliver on this promise. 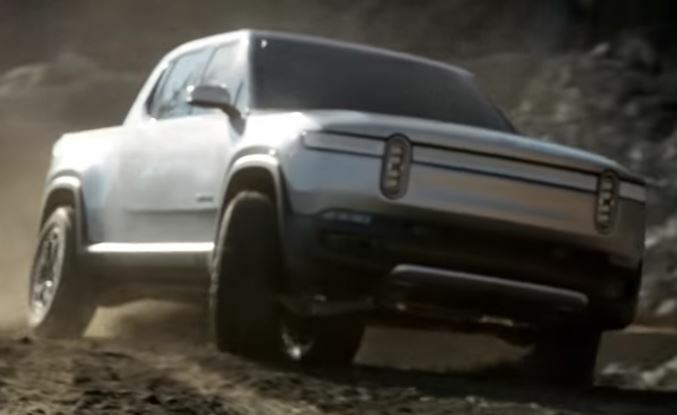 To keep the weight of the vehicle as low as possible, Rivian integrated not just the battery pack but also the drive units, suspension, braking, and thermal management system below the height of the wheels to give the vehicle a nice stable base to romp around with. In an off-road vehicle, the center of gravity of a vehicle defines not only its riding characteristics but also the amount of traction it will have in increasingly tenuous off-road scenarios. Rivian has not offered test drives in its vehicles, but these design choices are sure to have a positive effect on the truck’s handling characteristics on and off the road. The Rivian R1T packs a quad pack of motors managed by a central torque control system to deliver 147 kW (197 hp) to each wheel, but the car’s electric powertrain really shines when it comes to torque. The R1T is an absolute performance beast when it comes to torque, with a combined 14,000 Nm of torque. “The beauty and elegance of our quad-motor setup isn’t just about brute power. This architecture provides instantaneous torque with extremely precise control at each wheel, which is completely game-changing from a dynamics perspective both on- and off-road,” said Executive Director of Engineering and Programs Mark Vinnels.